1240 ESPN... is sports... sports... sports... 24/7! 1240 ESPN is the full time affiliate for ESPN talk radio. 1240 ESPN is Carlsbad's local sports station as well. Broadcasting well over 100 Carlsbad high school games every year! Football... boys and girls basketball... softball and baseball! 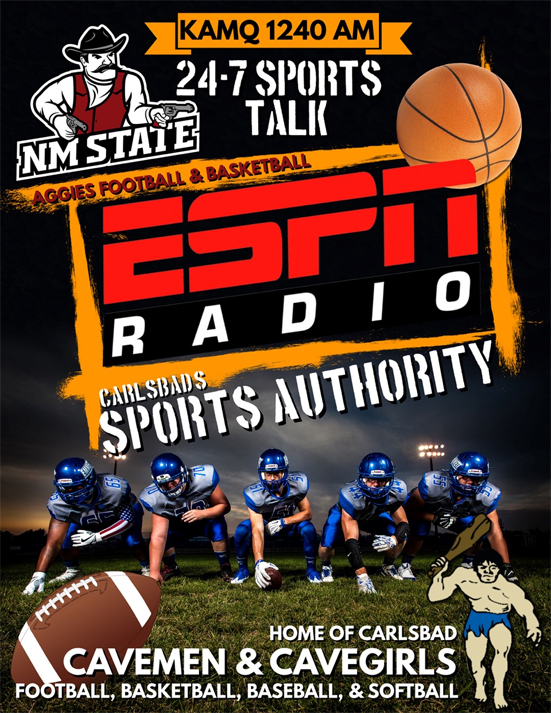 1240 ESPN also carries live broadcasts of Football and Basketball of the New Mexico State Aggies. 1240 ESPN audience is 87% male... 100% loyal!